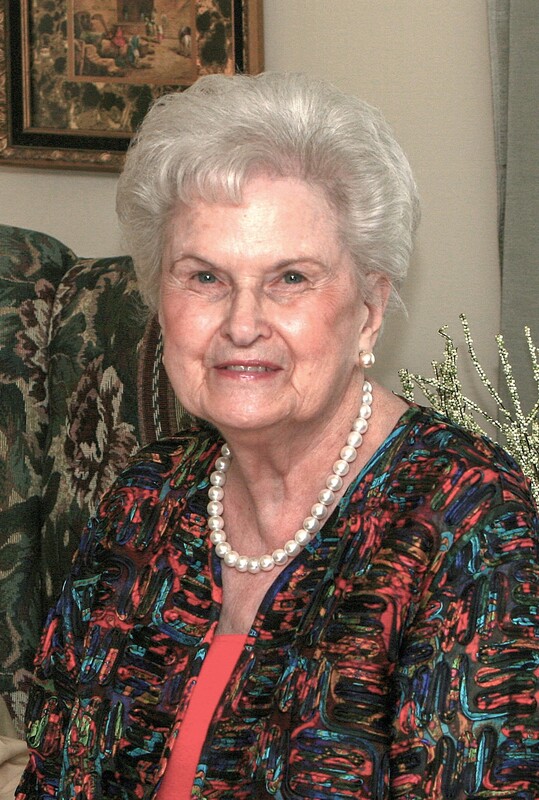 Maxine Elizabeth Nabers Adams, age 93, a long-time resident of Birmingham, Alabama went home to the Lord surrounded with love on Friday, November 9, 2018 after a long battle with dementia. She is survived by her devoted daughter who was her pride and joy, Brenda Glass (Walter D. – Dave) of Birmingham, Alabama; loving granddaughters, Jennifer Winstead (Chuck) of Baton Rouge, Louisiana and Heather Greer (Raymond) of Birmingham, Alabama; cherished great grandsons, Austin Greer of Baton Rouge, Louisiana, Drake Greer of Dallas, Texas, Kurt Greer of Birmingham, Alabama, Trey Winstead of Baton Rouge, Louisiana, Tyler Greer of Birmingham, Alabama and David Winstead of Baton Rouge, Louisiana; her sister, Leatrice Nimmer of Iowa; and a host of nieces, nephews and cousins. She is predeceased by her husband, Arch K. Adams; her parents, Kirk and Wannie Nabers; brothers, Clinton Nabers, Carlton Nabers, and James Hayden Nabers; and sister, Ruth Smith. Growing up in the Palestine community of Northeast Mississippi, she was a tomboy who loved to ride horses, drive tractors and fish. Influenced undoubtedly by growing up on a small farm, she enjoyed gardening and flowers. As a young family, Maxine and Arch settled in Shreveport where they raised their daughter, Brenda. Maxine’s work ethic can be directly attributed to the success of their business, Peacock Cleaners. Maxine enjoyed weekends at Lake Bistineau fishing with Arch and driving the ski boat for Brenda. She was a member of Broadmoor United Methodist Church. Maxines’ hobbies included square dancing and collecting antiques. In the late 70’s she moved to Dallas, Texas to be closer to her daughter. She enjoyed working at Sears, traveling, gardening, and spending time with family and friends. Her favorite trips included an excursion to Puerto Rico with her sister Lea to see her nephew Rick and an Alaskan venture with her sister Ruth to visit her brother, Hayden, and his family. Her love for her family took her many miles, including to Birmingham, Alabama. Maxine enjoyed people and was loving and generous with her family, friends and even strangers. She particularly loved taking time to crochet blankets, sew clothes and bake pumpkin bread. With a resolute disposition, she was a beautiful woman throughout her life. She always had a hilarious way of getting her point across, which she maintained along with a happy spirit. A private memorial service and inurnment will be held at First United Methodist Church in Baton Rouge, Louisiana on November 17, 2018. In lieu of flowers, please consider a donation in Maxine’s memory to the charity of your choice. May the Family find some comfort with the words of Jesus Christ that is found in John 5:28,29 to where we find him here giving us all a Guarrantee that he will resurrect your dear loved one back to good health and have the opportunity to live forever as the Bible says in Psalm 37:29 which reads: The righteous will possess the earth and they will live forever on it. So may these words bring some comfort in theses trying times.